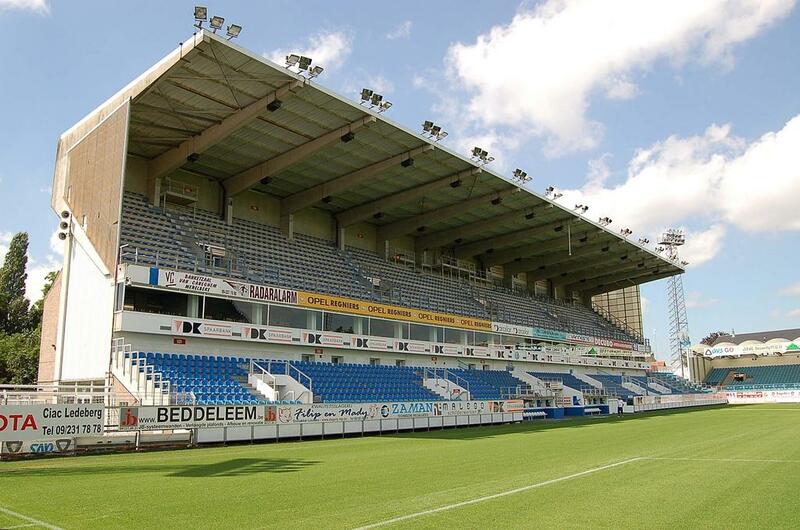 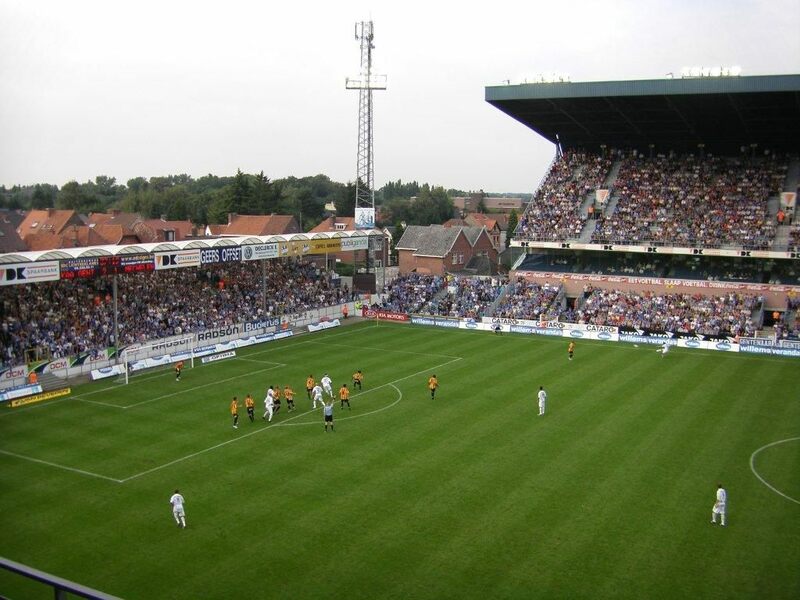 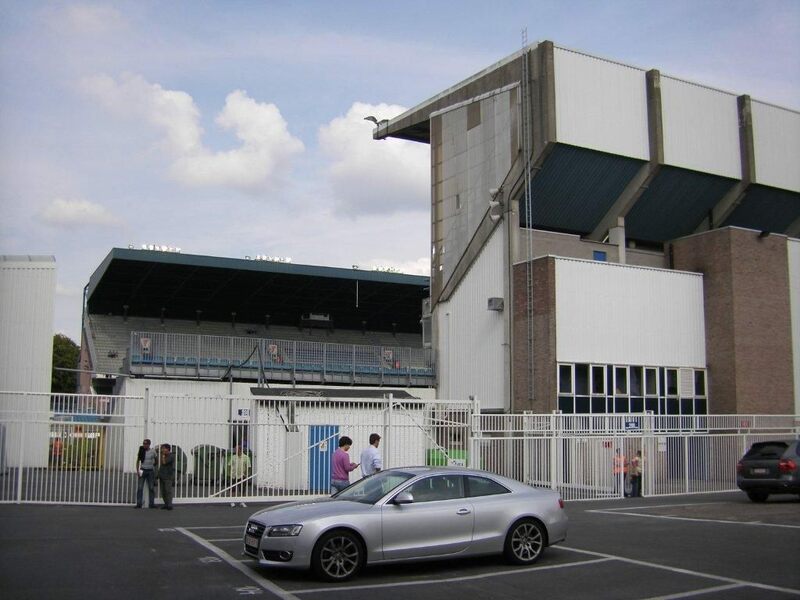 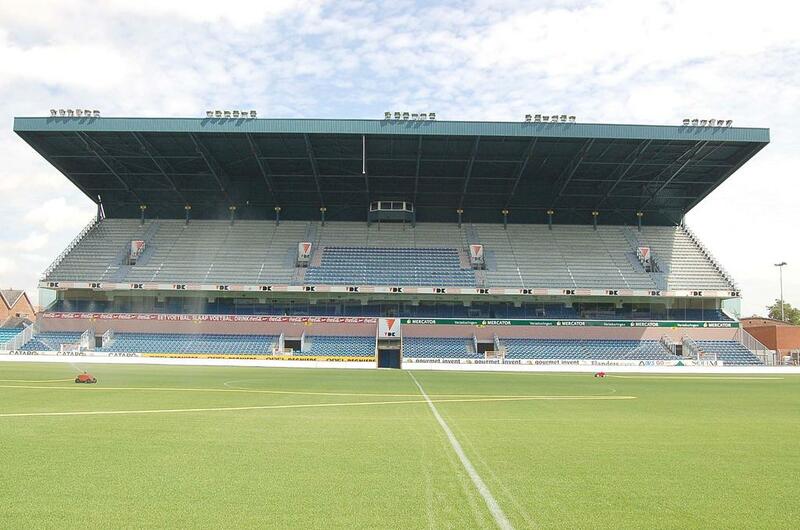 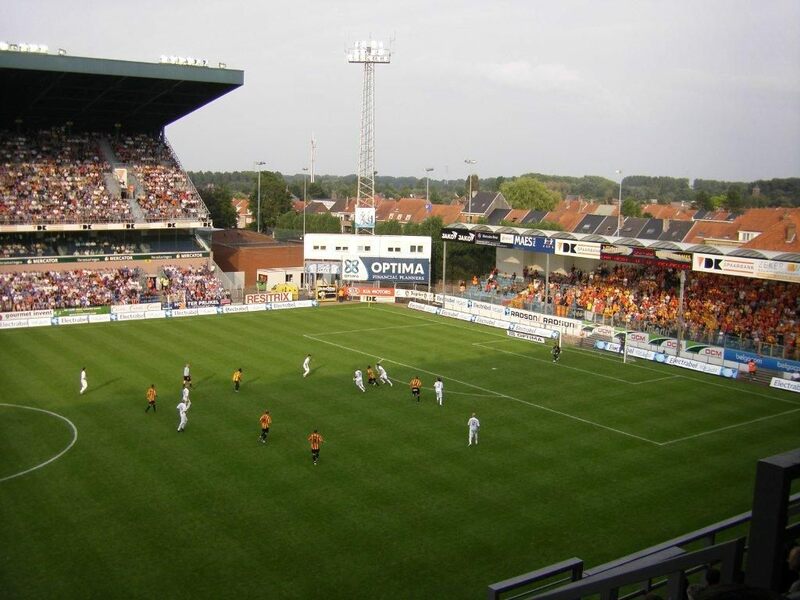 Officially opened on August 22, 1920, the stadium in low-density residential area of Ghent was a modest one. 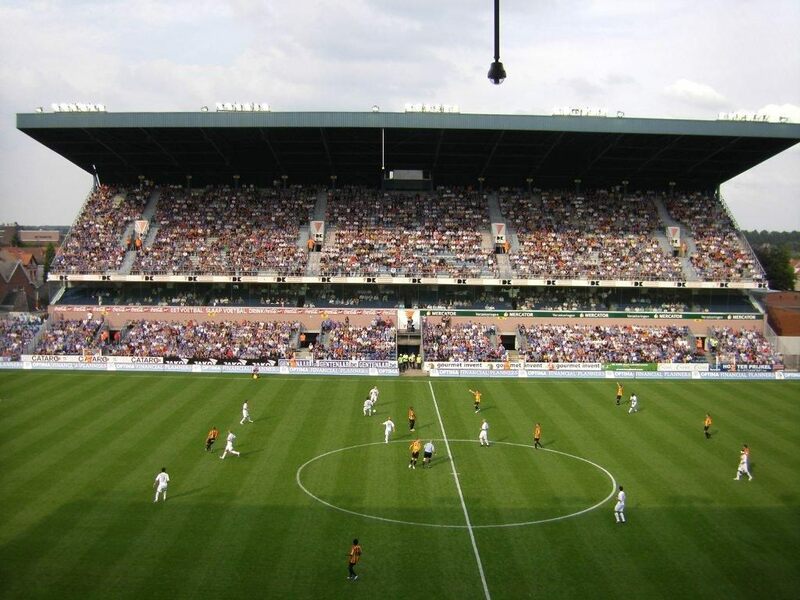 For most of its existence it had one grandstand, mostly wooden, and low terracing on other sides. 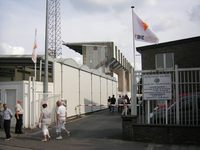 It wasn’t until 1986 that a new concrete main grandstand was built. 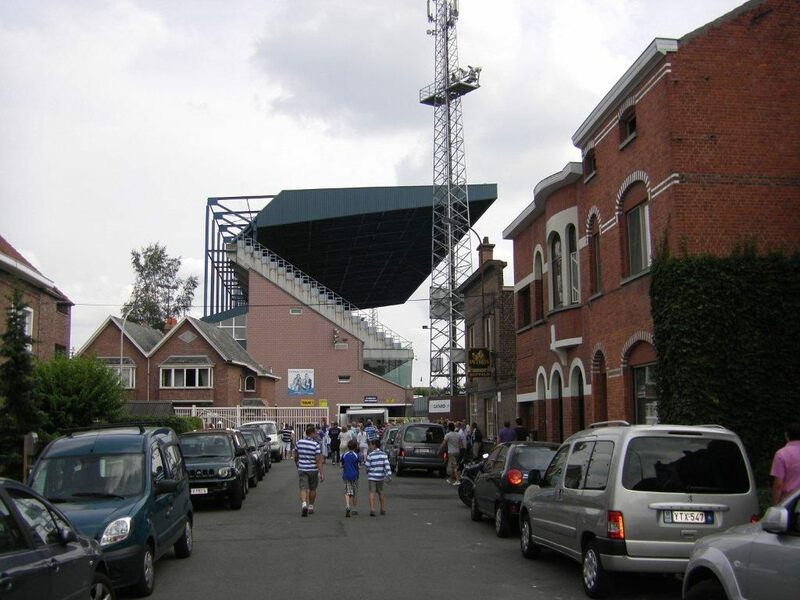 6 years later (1992) it was joined by a new opposite straight section, both with double tiers that made them stand out in the area. 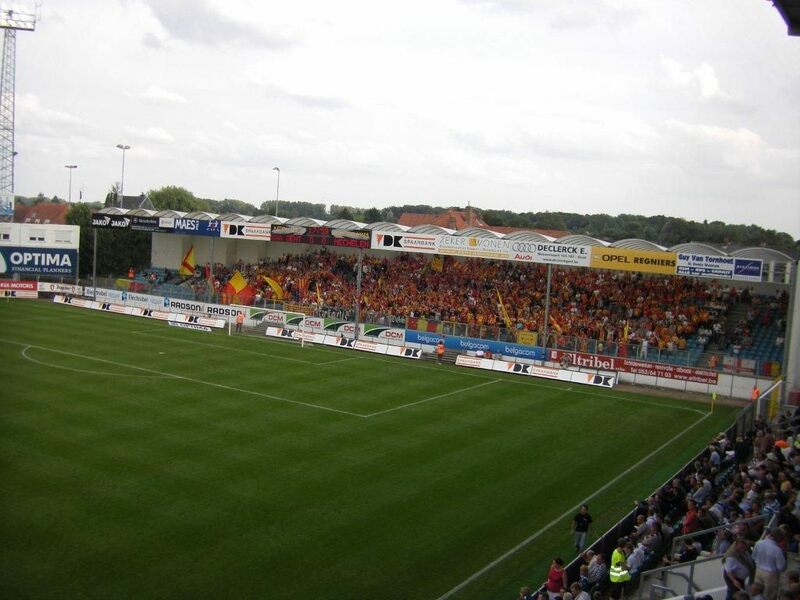 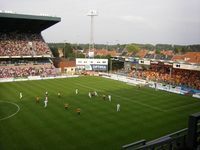 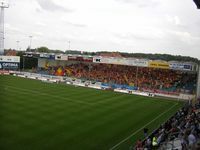 In 2002 the terracing on both ends was converted into small seated stands. 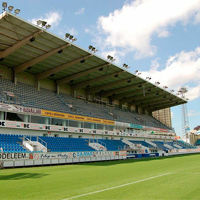 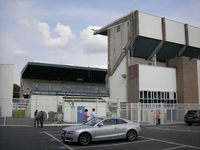 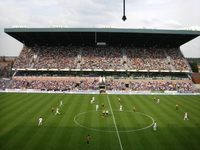 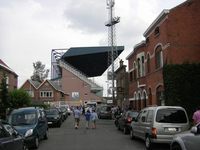 The plot proved too small for further changes, prompting plans for a new stadium just a couple years after the last renovation. 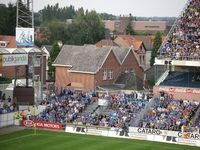 Despite massive delays the Arteveldestadion project eventually saw groundbreaking in 2011 and delivery in 2013, commercially named Ghelamco Arena. 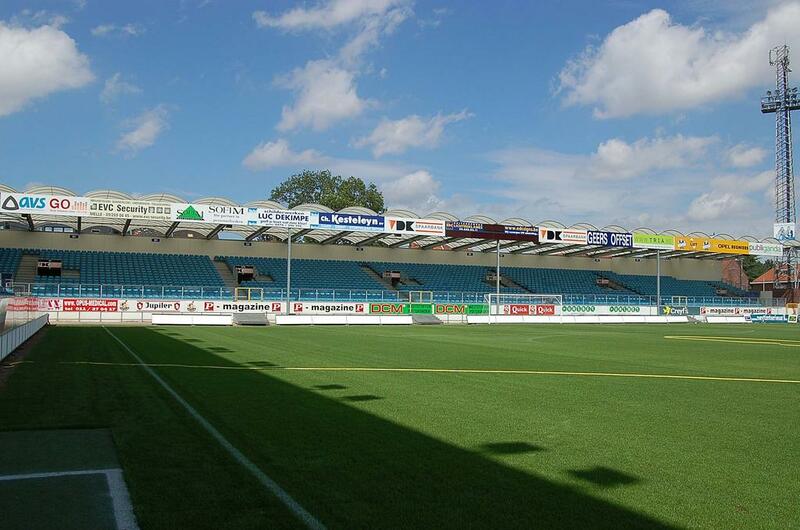 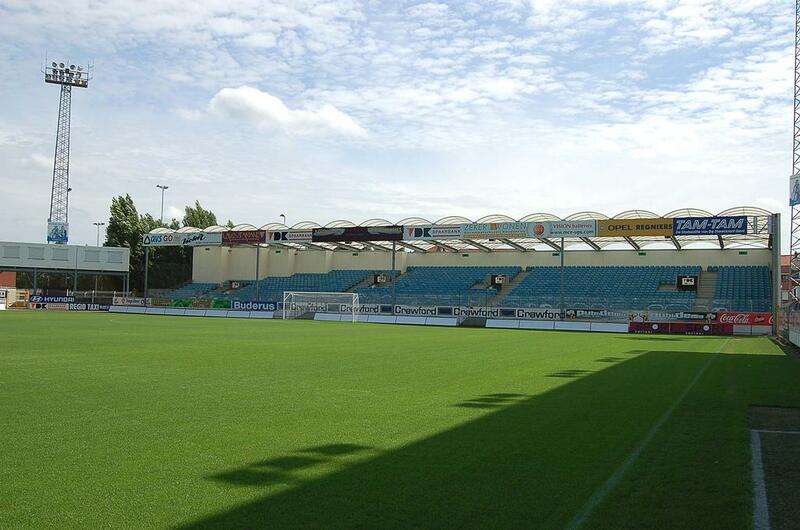 Very last game at the stadium named after Jules Otten was played on May 23, 2013. 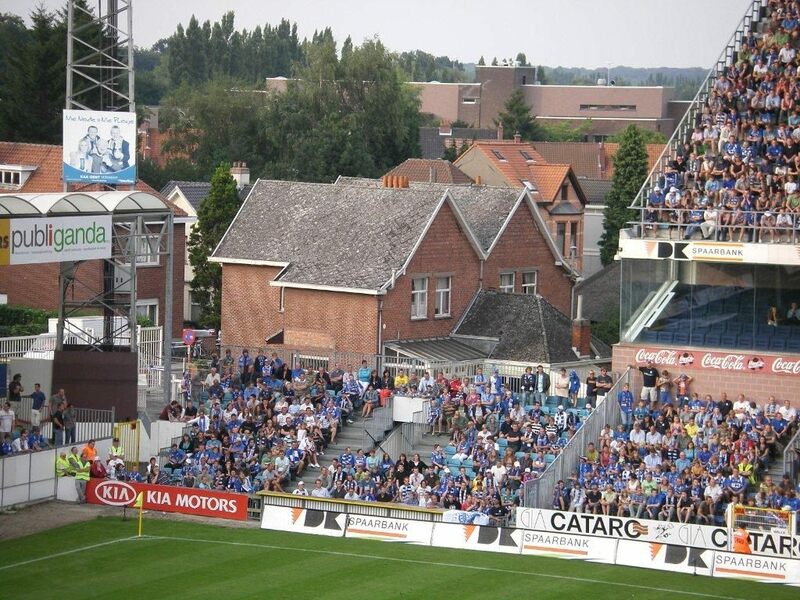 KAA Gent managed to beat Standard Liege 1:0. 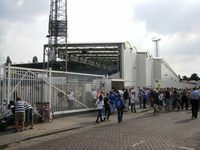 Surely FC Barcelona aren't coming to town. 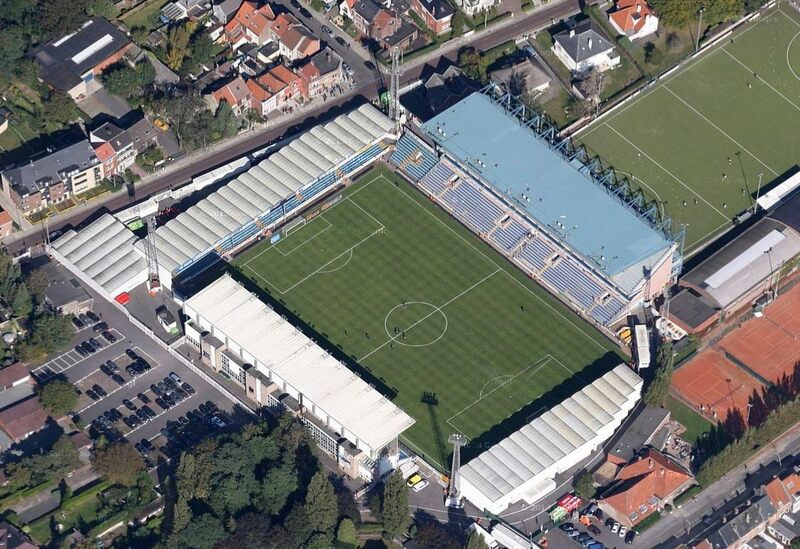 In fact, no game will be played on that day. The last time Jules Ottenstadion opens its doors after this season, fans will most likely take part in a sentimental ceremony.